Various countries of the world have taken significant steps in tackling Anti-Microbial Resistance (AMR), but serious gaps remain and require urgent action, reports NaijaAgroNet. 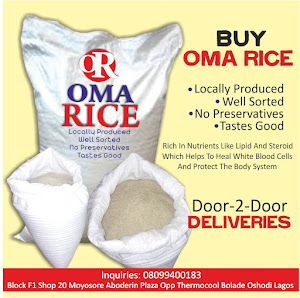 The report released by the Food and Agriculture Organization of the United Nations (FAO), World Organisation for Animal Health (OIE) and the World Health Organization (WHO), as well as sighted by NaijaAgroNet, the chart progress was visible in 154 countries and reveals wide discrepancies. According to the report, some, including many European countries, have been working on AMR policies in human and animal sectors for more than 4 decades. Others have only recently started to take action to contain this growing threat. Progress in developing and implementing plans is greater in high-income than low-income countries but all countries have scope for improvement. No country reports sustained capacity at scale in all areas. The report looks at surveillance, education, monitoring and regulating consumption and use of antimicrobials in human health, animal health and production, as well as plants and the environment - as recommended in the Global Action Plan published in 2015. 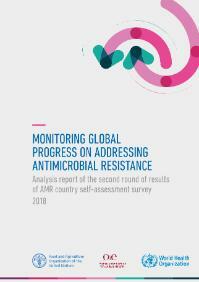 Promising findings include 105 countries with a surveillance system in place for reporting drug-resistant infections in human health and 68 countries with a system for tracking consumption of antimicrobials. In addition, 123 countries reported that they have policies to regulate the sale of antimicrobials, including the requirement of a prescription for human use - a key measure to tackle overuse and misuse of antimicrobials. The report highlights areas, particularly in the animal and food sectors, where there is an urgent need for more investment and action. For example, only 64 countries report that they follow FAO-OIE-WHO recommendations to limit the use of critically important antimicrobials for growth promotion in animal production. Of these, 39 are high-income countries, with the majority in WHO's European Region. By contrast, only 3 countries from WHO's African Region and 7 countries from the WHO Region of the Americas have taken this important step to reduce the emergence of antimicrobial resistance. A total of 67 countries report at least having legislation in place to control all aspects of production, licensing and distribution of antimicrobials for use in animals. But 56 either said that they had no national policy or legislation regarding the quality, safety and efficacy of antimicrobial products used in animal and plant health, and their distribution, sale or use, or that they were unable to report whether they have these policies in place. There is also a substantial lack of action and data in the environment and plant sectors. Although 78 countries have regulations in place to prevent environmental contamination generally, only 10 of them report having comprehensive systems to ensure regulatory compliance for all waste management, including regulations that limit the discharge of antimicrobial residues into the environment. This is insufficient to protect the environment from the hazards of antimicrobial production. "This report shows growing global momentum to combat antimicrobial resistance," says Dr Ranieri Guerra, Assistant Director-General for Antimicrobial Resistance at WHO. "We call on governments to make sustained commitments across all sectors - human and animal health, plant health and the environment - otherwise we risk losing the use of these precious medicines." "Supporting low- and middle-income countries to follow guidance of responsible and prudent use of antimicrobials in animals is an urgent priority," says Dr Matthew Stone, Deputy Director General of the World Organisation for Animal Health (OIE). "Implementation of dedicated OIE international standards, appropriate national legislation and strengthening of veterinary services are essential steps to help all animal health stakeholders contribute to controlling the threat posed by antimicrobial resistance." "FAO welcomes that many countries are taking concrete steps towards the responsible use of antimicrobials in agriculture," says Maria Helena Semedo, FAO Deputy Director-General. "However, countries need to do more to reduce the unregulated and excessive use of antimicrobials in agriculture. We particularly urge countries to phase out the use of antimicrobials for growth promotion in animal production - terrestrial and aquatic." From this survey and other sources, the Tripartite (FAO, OIE and WHO) is aware that 100 countries now have national action plans for AMR in place and a further 51 countries have plans under development, but more needs to be done to ensure that they are implemented. Only 53 countries report that they have a multisectoral working group that is fully functional, although a further 77 have established such a group. Only 10 countries report that the funding for all actions in the plan is identified and many middle- and low-income countries may need long-term development assistance to implement their plans effectively and sustainably. Positively, among the top ten chicken-, pork- and cattle-producing countries that responded to the AMR survey, 9 out of 10 have at minimum developed a national action plan; the majority of these have plans in operation with a monitoring arrangement.